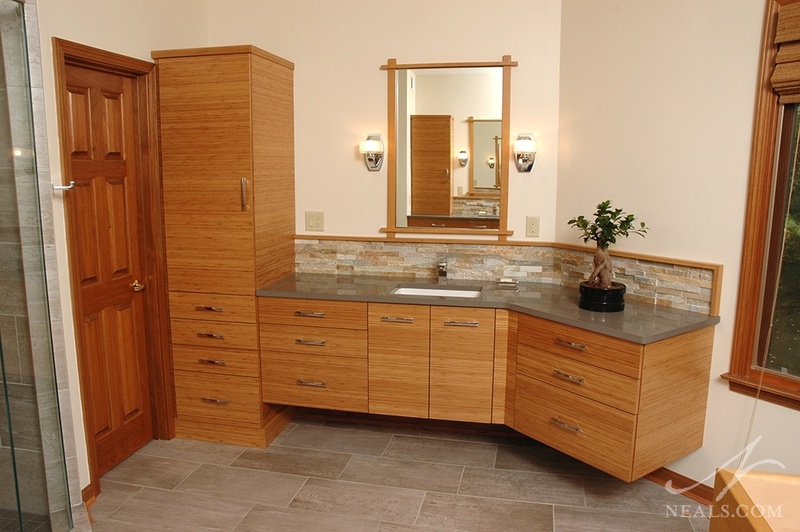 The bathroom design trends we expect to see in 2016 focus on space, aesthetics, and details. The trend to treat the master bath as a private, spa-inspired space has persisted for several years. This year, we're seeing that increase with more considerations for how the bathroom is shared, and in ensuring a pleasant, relaxing experience for all users. Walk-in showers continue to be the driving force behind most bathroom renovations, customized to fit reimagined, larger spaces. Smaller bathrooms and powder rooms follow bath trends as well with a greater attention to detail and materials selections. Keep reading for the 5 trends you can expect to see in bath design this year. As the pace of our lives increase, the function of our living spaces become integral parts of our daily routines. In many homes, the morning bathroom rush can be a make-or-break point to the day, so homeowners are looking for ways to maximize efficiency. 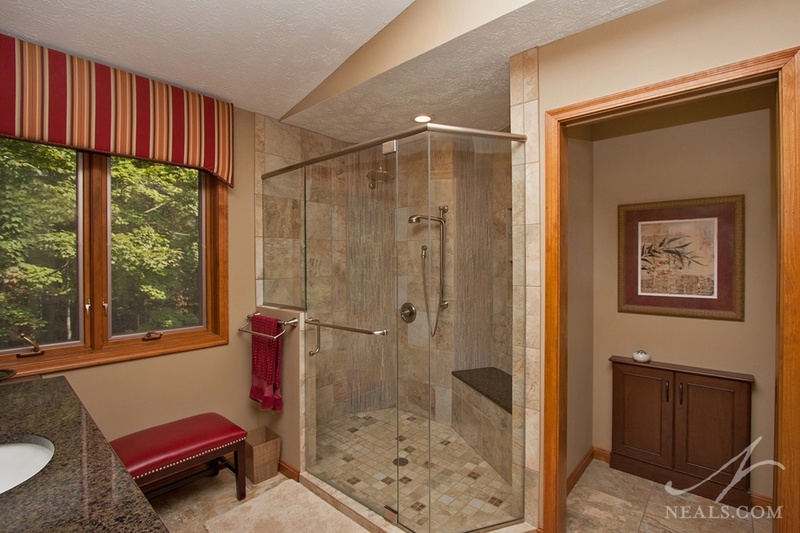 Replacing standard tubs or closet-like showers with glass-enclosed walk-in versions is a common update. 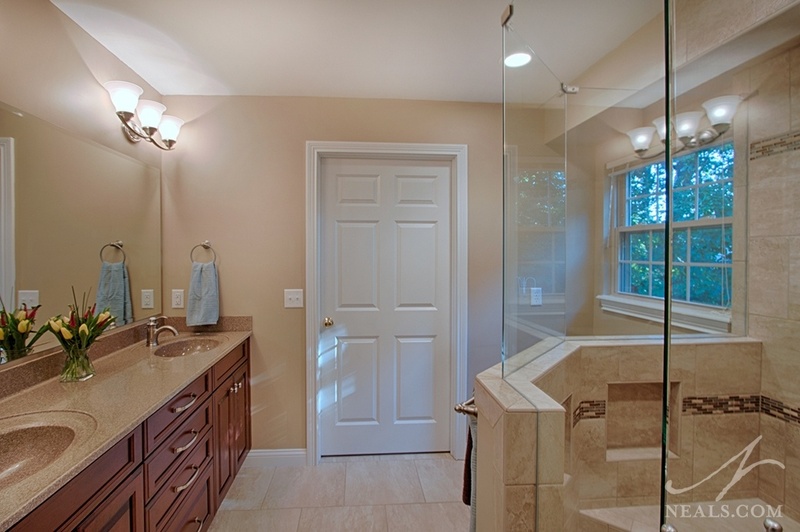 The trend in 2016 is to rearrange the bathroom's floorplan to accommodate larger showers. In some cases, this includes removing soaking or jet tubs to gain more square footage. 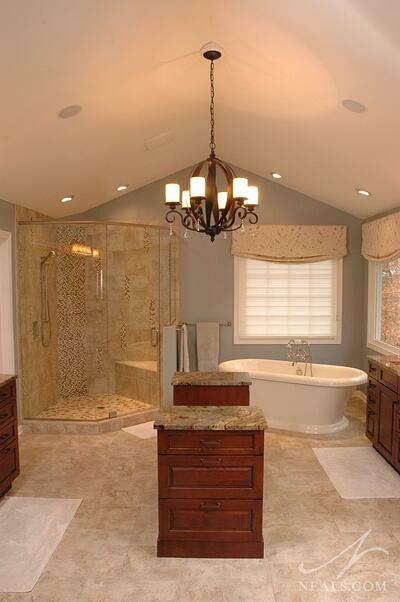 Continuing the trend for larger personal spaces, master bathroom remodels, in general, aim to increase overall space. Sometimes, that means looking for ways to increase ceiling height, but more often, designers look at adjacent spaces and rearrange doorways or walls to bring as much floor space into the bathroom as possible. The result is a spacious, open room that feels comfortable and relaxed. Earlier this year, we looked at how mixing neutrals in the home is a trend for the entire house in 2016. In the bathroom, the abundance of hardware and fixtures adds even more opportunity to mix neutrals, when you consider each metallic finish to be a neutral statement of its own. 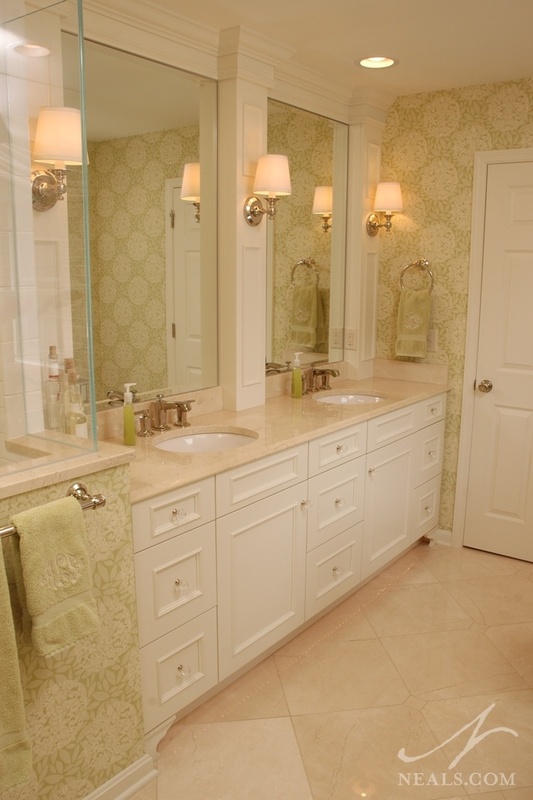 Keeping the bathroom neutral in color also increases the feelings of relaxation and calm. Additional color can be added with towel and accessory selections, or with colorful (moisture-resistant) artwork. Not a new trend as much as a growing consideration, planning a remodeled bath around universal design principles ensures that the new space will grow with the users. 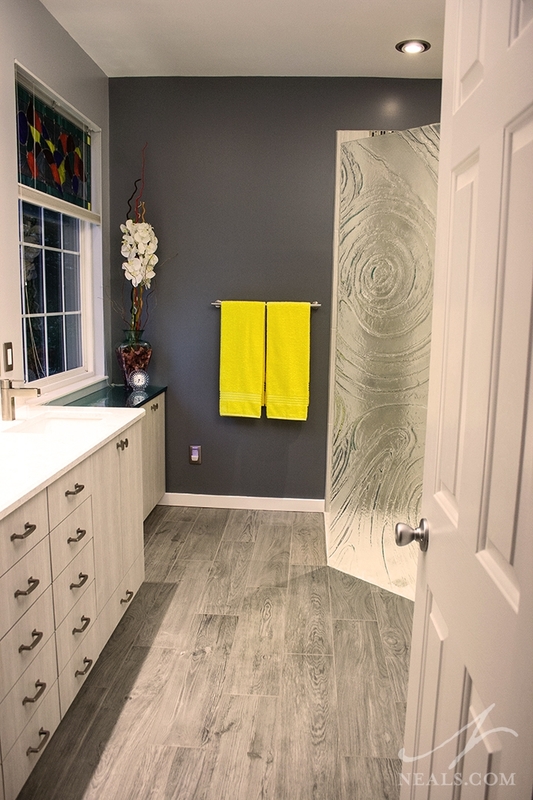 The major items to consider for an accessible bathroom are slip-resistant flooring, curbless showers, towel bars that can double as grab bars, hand-held shower heads, a bench in the shower, and easy-to-grip door handles. Owing to their typical size, bathrooms benefit from a 'function first' design scheme. Current design trends focus on freeing space for movement, and not lock the users into inflexible routines. While "simplicity" can mean minimal, it doesn't have to. A simple design is one in which the room lacks lots of bells and whistles or added features that may be better placed in the bedroom. Even if the bathroom design focuses on simplicity, doesn't mean that the room has to be sterile or boring. Materials for bathrooms are trending toward creating luxurious spaces. 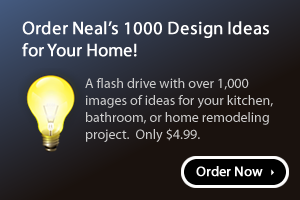 Long gone are the days when the bathroom is considered simply a utilitarian space. Splurges on countertop materials, lighting, or tile accents are more common, as is the desire for well-appointed details. There's a level of luxury for every budget, so it's important to work with your designer to find your options.